Staff Sgt. Logan Melgar was strangled to death in Mali. Two SEALs from the Navy's elite SEAL Team Six and two Marines have been charged with murder and involuntary manslaughter in the death of Army Green Beret Staff Sgt. Logan Melgar in Mali in June 2017. If the case moves to a court-martial, the four members of some of the U.S. military's most elite units face the possibility of life in prison without parole. "Charges were preferred yesterday against two Sailors and two Marines in the death of Army Staff Sergeant Logan Melgar, who died June 4, 2017, while serving in Bamako, Mali," said a Navy statement. "The four personnel face charges under the Uniform Code of Military Justice including Felony Murder, Involuntary Manslaughter, Conspiracy, Obstruction of Justice, Hazing and Burglary," the statement said. Charge sheets identify the two SEALs as serving with Naval Special Warfare Development Group, the official name for SEAL Team Six, the elite unit most famous for carrying out the raid that killed Osama bin Laden. The two Marines belong to the U.S. Marine Corps Forces Special Operations Command. 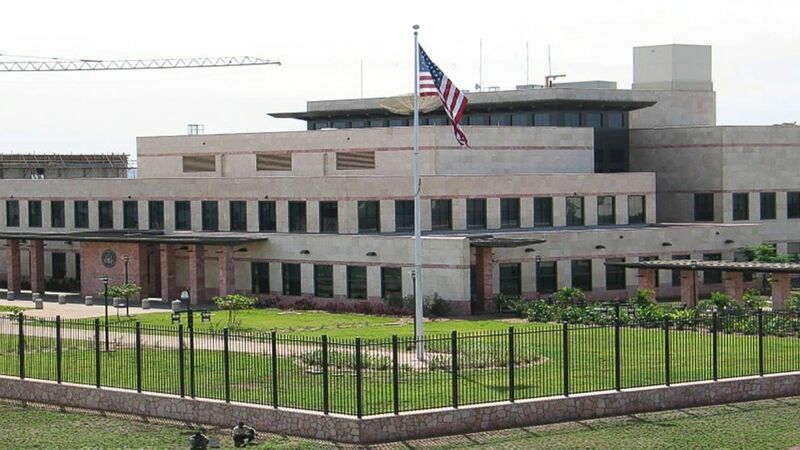 (U.S. Department of State) The U.S. Embassy Bamako, Mali is seen in an undated photo posted to the State Department website. The charge sheets allege that on the night of June 10, the four special operations service members obtained duct tape, broke down the door into Melgar’s sleeping quarters, bound him up with duct tape and then strangled him to death while in a chokehold. The charge sheets do not provide a motive for Melgar's death but under the burglary charge alleges that the four broke into Melgar's bedroom "with the intent to assault." Another charge of hazing alleges that they had allegedly committed "hazing" by breaking into his bedroom "while he was sleeping and participating in an assault." The four service members also face charges of obstruction of justice for denying their use of duct tape, lying that they had drunk alcohol and providing false timelines about what happened that night. One of the SEALS is alleged to have gruesomely tried to cover up the damage to Melgar's trachea by carrying out a cricothyrotomy, normally a life-saving procedure where an incision is made in the trachea to help with breathing. The circumstances of Melgar's death had initially triggered an Army investigation that was referred to the Naval Criminal Investigative Service (NCIS) last September. Last week, NCIS referred its completed investigation to Admiral Charles Rock the Commander, Navy Region Mid-Atlantic, to decide how the case should proceed. Melgar was part of a small group of U.S. military personnel working in Bamako, Mali in support of the U.S. Embassy. The Lubbock, Texas, native enlisted in the Army in January 2012 as an 18X. In 2013, he started his Special Forces training and was assigned to the 3rd Special Forces Group (Airborne) in 2016, after he'd completed the Special Forces Qualification and Special Forces Engineer courses. (U.S. Army) U.S. Army Staff Sgt. Logan Melgar of Lubbock, Texas, died in Mali on June 4, 2017. His death is being investigated as a homicide. A statement from the Melgar family said Logan Melgar was a man of "integrity and honor." "Besides being a loving husband, father, son, and brother Logan was a man of integrity and honor. His morals stood larger than most. We as the Melgar family can only hope that true justice is upheld under these unthinkable circumstances. We hope to not add to the division of a nation’s views by seeking a just sentence, but appeal to the humane unified hearts of Americans, as this is a clear cut example of how we should not be battling amongst ourselves while the tyranny that lies within our control is just as dangerous as the conflicts we deem to be war worthy," the statement read. Melgar conducted two deployments to Afghanistan as an engineer sergeant. "We honor the memory of Staff Sgt. 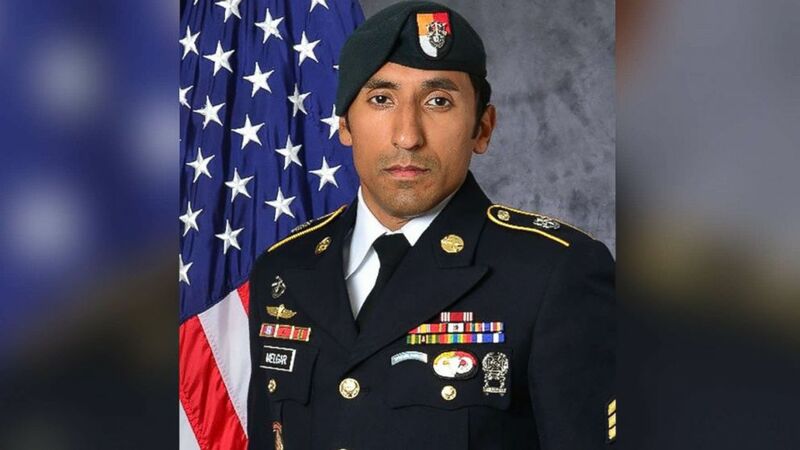 Melgar, our thoughts remain with his family and teammates," said Captain Jason Salata, a spokesman for U.S. Special Operations Command. "If these allegations of misconduct are substantiated, they represent a violation of the trust and standards required of all service members. We trust our service members to safeguard our nation's most sensitive interests and to do so with honor." "We will not allow allegations or substantiated incidents of misconduct erode decades of honorable accomplishments by the members of US Special Operations Command," he added. "Ours is a culture of professionalism and accountability, which prides itself in being a learning organization that uses critical self-examination in a relentless dedication to improvement." The four will face a preliminary Article 32 court hearing on Dec. 10 that will determine if they will face a general court-martial. A Navy spokesperson says the maximum penalty they currently face is life without parole, but that could change if the Article 32 hearing determines the case merits a capital court-martial which carries the death penalty. The four service members are currently not being held in pre-trial confinement.